It’s almost Thanksgiving which means it’s the perfect time to up your gratitude game. Starting a daily gratitude practice helps me manage my depression and anxiety and just generally feel better about life. I’m not a naturally positive person. It takes a good amount of effort every day to stay in a positive mindset. Even though it takes a lot of effort I think it’s really worth it because I feel so much better when I’m operating from a place of gratitude and positivity. 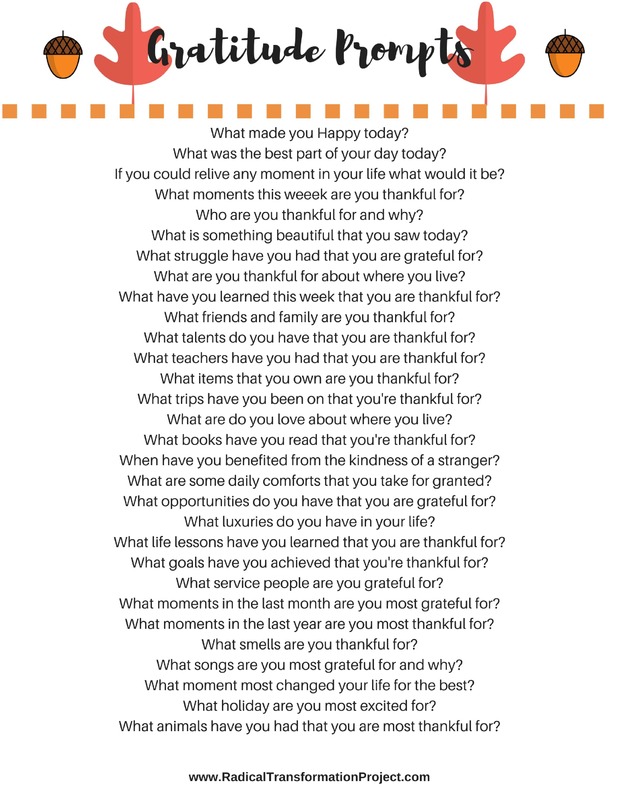 Be sure to enter your email below to receive the Thanksgiving gratitude prompts as a printable PDF for free and check out my post on mental health journal prompts if you’re inspired to do some more writing. My gratitude practice has been one of the main habits that I use to manage my mental health. When I am feeling gratitude in my body it eases my anxiety by bringing me back to the present moment. By focusing on what is going great in my life I am able to silent all the worried and anxious thoughts I usually have in my mind all day. Thanksgiving is a great time to give thanks and practice gratitude. Use these journal prompts to help you start your own gratitude journal practice. After having untreated clinical depression for ten years my mind had become a really negative place. I believe that happiness and gratitude are like a muscle you have to build up. After spending a lot of time and energy practicing gratitude I have found that it gets easier and easier to focus on the positive instead of letting myself get sucked into all the negative thoughts in my head. I suggest you make your gratitude practice a habit by committing to doing it at the same time every day. I write a gratitude list twice a day every single day. Doing this practice first thing when I wake up and at night before I go to sleep has helped me make it a habit. Figure out when you can make gratitude part of your routine. I have a whole podcast episode about how I practice gratitude throughout the day and my positivity hacks I use you can check out here. If you could relive any moment in your life what would it be? What moments this weeek are you thankful for? What struggle have you had that you are grateful for? What have you learned this week that you are thankful for? What friends and family are you thankful for? What talents do you have that you are thankful for? What teachers have you had that you are thankful for? What items that you own are you thankful for? What trips have you been on that you’re thankful for? What are do you love about where you live? What books have you read that you’re thankful for? When have you benefited from the kindness of a stranger? 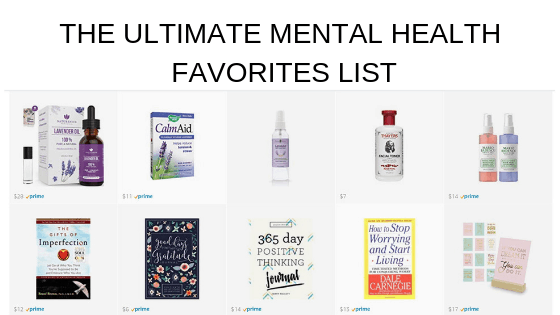 What are some daily comforts that you take for granted? What opportunities do you have that you are grateful for? What luxuries do you have in your life? What life lessons have you learned that you are thankful for? What goals have you achieved that you’re thankful for? What service men and women are you grateful for? What moments in the last month are you most grateful for? What moments in the last year are you most thankful for? What smells are you thankful for? What songs are you most grateful for and why? What moment most changed your life for the best? What holiday are you most excited for? What animals have you had that you are most thankful for?